This is the issue you’ve been waiting for! 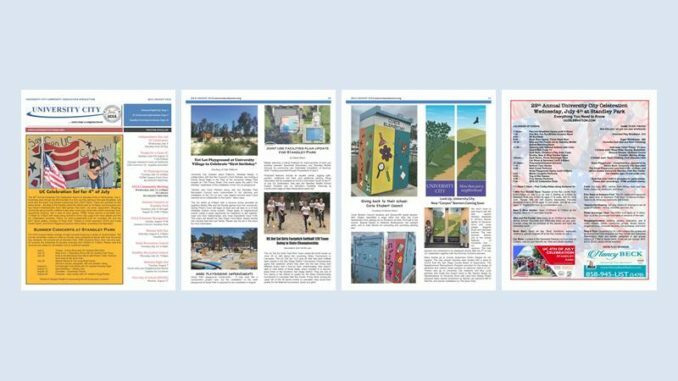 It contains the most up-to-date information on the 4th of July Celebration, the Summer Concerts, the new housing regulations coming to University City, and much more … news and events specific to our University City community. Newsletters will be delivered to homes and businesses throughout south University City this weekend; and are currently available at the Community Library and Standley Recreation Center on Governor Drive. 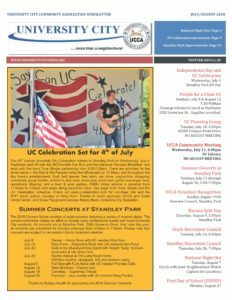 * To download the UC Celebration schedule and the July August 2018 newsletter, click on the images below. 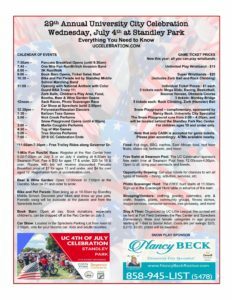 UC Celebration on July 4 at Standley Park includes something for everyone!